Here on my website I share a lot of content and I also share who I am and what I believe in. I am based in London and was born in Sweden. And I am a proud author of the book ‘Digital Leadership: How Creativity in Business Can Propel Your Brand and Boost Your Results’ which was published September 2013. My passion for sharing my knowledge about the digital era and social media transformed me into to become a professional speaker. I also train and consult businesses in how they can do more with help of social media and digital technology. In 2013 my mission was to train 1,000 people in Digital Leadership and Creativity. In November I reached my goal. I believe that knowledge about technology, collaboration and creativity is empowering you to make better decisions for the future. Organisations that deny this will most likely go broke. Many people feel a bit stuck when it comes to the digital world. There is plenty of information out there, just Google it, or watch hours of videos on YouTube. The challenge is to put all the information into context and make it work for you and your organisation. By helping you look into the future, learn more about digital media and teaching you how you can use creativity in your business I help you become a digital creative leader. 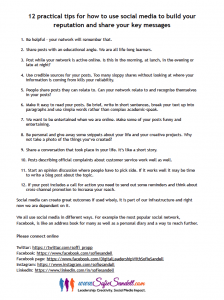 In my talks and workshops I explain how you can use social media and technology for your organisation. My teaching/speaking style is relaxed and I avoid too techie expressions. I grew up in Gothenburg, Sweden, the second largest city in Sweden. This is where you find the headquarters of Volvo and SKF. It’s an industrial city and 50% of Scandinavia’s industries can be found in a radius of 200 miles from Gothenburg. The city has relied heavily on its industries and manufacturing businesses for economic growth. When I was growing up, frequent downsizing and redundancies in businesses affected the whole region. I am a registered and approved Growth Coach for GrowthAccelerator helping ambitious businesses achieve rapid and sustainable growth by providing tailored expert advice. This service is available in England. You can listen to a radio interview with me here. That’s the long version about my journey, life and why I do what I do. 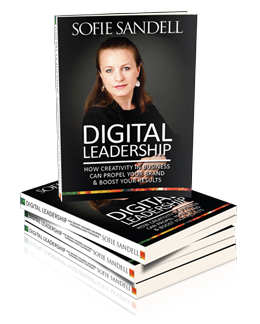 Sofie Sandell is a Swedish Londoner and the author of the book ‘Digital Leadership’, she is a professional speaker and trainer, and she speaks about leadership, creativity and social media impact. Sofie is also a lecturer in digital marketing at INSEEC university in London. Sofie believes that the leaders who are best placed to take us into the future are those that know a lot about digital tools and what technology can do for people. Sofie’s passion is to inspire people on how to become digital leaders. Her philosophy is that you have to work on at least one digital project that feels scary to keep your organisation on top and on it’s toes. To develop your ability to grab the digital future you have to create new thoughts and ideas you never ever thought about in the past. To do this is uncomfortable and being on a creative journey will make you feel weird! If you feel safe most of the time is a sign that you are not creative and that you are not on the right track. In 2013 Sofie spoke at TEDxUCL and TEDxIslingtonWomen and she inspired over 1,000 people with her Digital Leadership insight and stories at many events and conferences. As an entrepreneur with interests spanning from technology and leadership to art and sailing she feels inspired to learn about all kind of new challenges and opportunities. In one of her jobs Sofie had to be trained as a quality auditor for ISO 9001 and that brought her straight into the board rooms of all her customers. She saw the whole chain of activities that has to be working to make a business work well. And she realised that it doesn’t take much to disengage a team and as a result get unsatisfied customers. Sofie became the webmaster for her sailing club’s website 20013 after she complained to the board that it was not updated correctly. After that she lead several digital projects and even changed her career from working as a management consultant into to become the first social media manager at a large publisher house in London in 2009. Her job description was short and neat – to introduce new digital techniques. Sofie she has also been working in roles such as e-commerce manager at BSI and ITV. 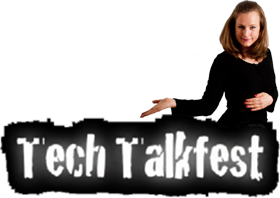 She is a regular contributor to the technology radio show #TechTalkfest. Sofie has had a number of leadership roles in non-governmental organisations. In 2011 she was awarded the Freedom of the City of London in recognition of her service to the city. Sofie’s clients include small and large businesses, politicians, entrepreneurs, creative professionals, company executives and CEOs who want to succeed in the digital world using the creativity principles. This is Sofie’s 2014 mission statement: Guided by her belief that the world needs more leaders who know how to embrace technology and creativity, Sofie will share her knowledge and other people’s insights and wisdom to inspire others to take action to become creative digital leaders. It took me a few years to come up with the idea for my logo, I know I wanted one, so after I had been exploring my brand for a while I designed it myself and here is the story behind it. I got the idea to use a silhouette of myself when I was on stage speaking at an event by ‘4P square’ in Belgium. They used a silhouette of a woman to promote the event. When you see something that looks great, why not use the idea yourself? My tagline is: Leadership. Creativity. Social Media Impact. I wanted that to be in my logo. My brand is my name, Sofie Sandell. Also, I thought it can be useful to have the web address in the logo. Anna Langa at Digital Glam helped me with the graphic design work. We had tea at Caffe Nero in Chiswick, London and after that meeting it was ready. I wanted to logo to be colourful, feel feminine and also reflect my beliefs in business. Jason Ashwood took the photo of me that I made into a silhouette. It’s from the 5×5 PowerPoint Presentation event that I spoke at last year and held by the College of Public Speaking. The colours is my logo and branding are blue, purple and orange. Why those colours? I love blue; to me it represents water and sky. I own numerous pink and purple dresses, so purple is a great colour for me. One of my favourite colours is orange, and it’s also a colour I wear often. For those of you who don’t know me, I love dresses. I don’t think a woman can have too many. I chose three silhouettes, to symbolise the three aspects of my tagline and that it’s all about working together. Sofie has been involved in the leading global network Junior Chamber International (JCI) for over 10 years which provides her with access to a huge international network. Working with a diverse group of people has given Sofie a broader cultural understanding of the business world. Being involved in an organisation such as JCI has also been extremely rewarding and challenging, leading big projects and influencing people within JCI and externally. Sofie was awarded Freedom of the City of London, January, 2011. Did you know that one of the perks of the award is that you can bring your sheep over London Bridge without paying a toll! [svpVideo v=1] Sofie Sandell speaking at TECxUCL 3 June 2013. [svpVideo v=2] Sofie speaking about creativity at 5×5 College of Public Speaking PowerPoint Event in London 11 June, 2013. [svpVideo v=5] Creativity, ideas and you! Sofie Sandell’s speech October 2011. [svpVideo v=6] Why old ideas are great ideas. Speech in JCI Londons TEDx.com.